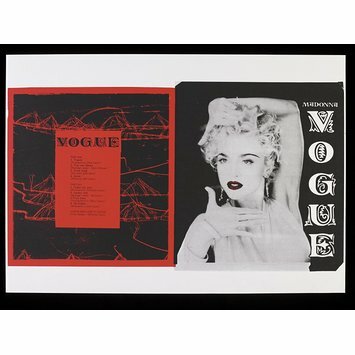 Poster by Christine Lacey depicting the album cover design for 'Vogue' by Madonna, in black, red and white. 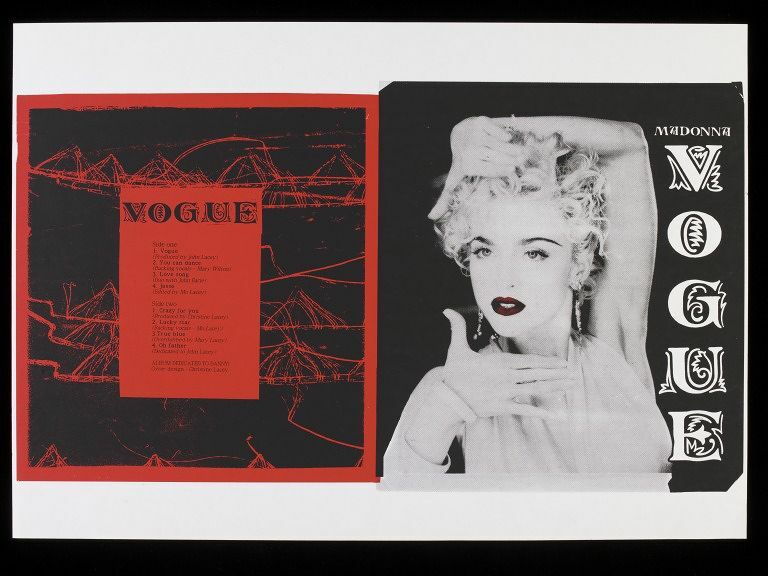 Poster by Christine Lacey depicting the album cover design for 'Vogue' by Madonna, ca. 1990.